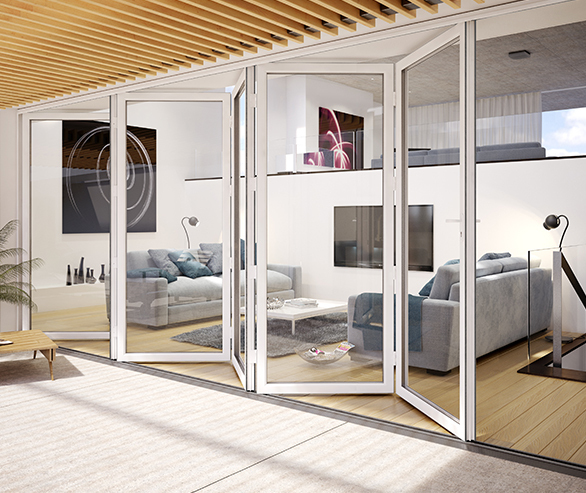 Contemporary bi-fold doors combine elegance with flexibility, allowing design of panoramic view wide-span door openings to create versatile spaces. 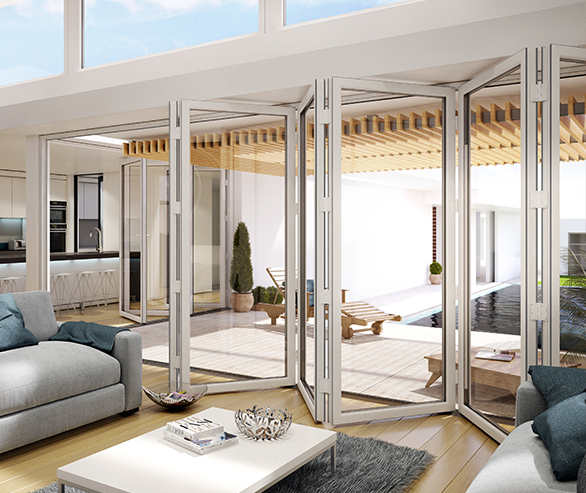 Evolve bi-fold doors are precision engineered to the highest standards and available in a variety of finishes and folding leaf combinations. 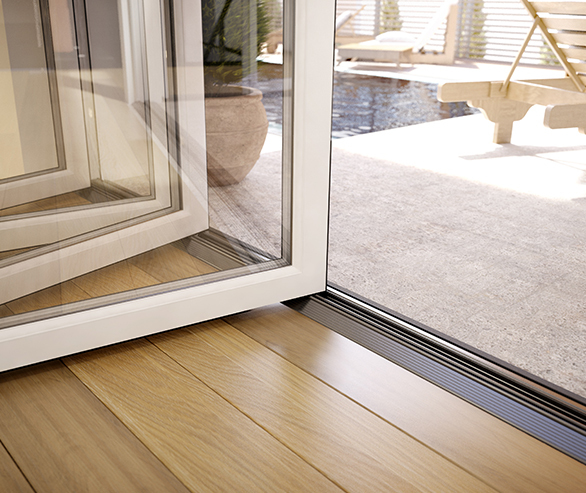 PVC-U door sashes slide along a thermally-broken aluminium top and bottom track system, designed to ensure years of trouble-free service. Rigid aluminium tracks increase the structural strength and enable easy transportation, preventing excessive flex to ensure that the doors run smoothly, even on long spans with multiple leaf configurations.Fully-manufactured by Synseal using a choice of either Shield or Legend ovolo PVC-U profiles, Evolve bi-fold doors are energy-efficient and easy to maintain once installed. 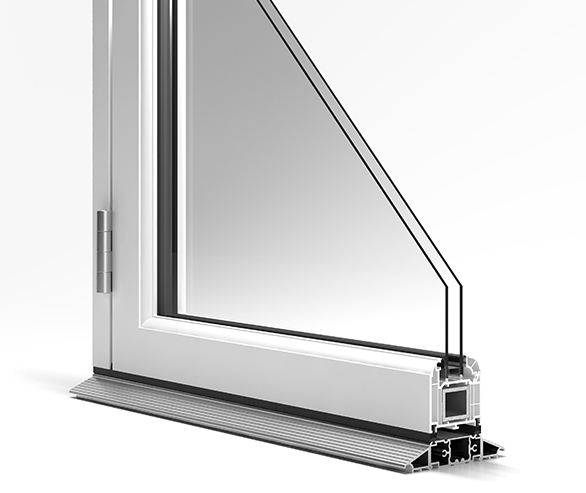 Incorporating brush seals around the openings for effective weatherproofing and draught exclusion, Evolve VS sash windows have an A window energy rating (WER) as standard and optional A+, B or C WER ratings can be specified. Using high quality materials whilst delivering security, style and ease of use whilst being ever mindful of keeping sight-lines and footprint to a minimum. Evolve combines elegance with flexibility, allowing solutions for all aperture sizes to suite with a whole range of house styles from the most modern to traditional cottages.